Would you like to pay in stores and restaurants as well? Choose a pay2d Basic card here. Available instantly: register online – quickly, easy and for free. Your pay2d account is ready to use immediately. Secure payments: do not give internet fraud a chance. Pay2day virtual card, being an alternative online payment method, protects your regular bank accounts and credit cards against incorrect use. 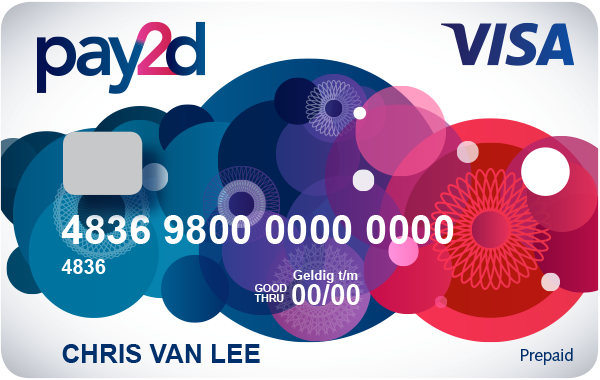 Easy to top up: increase the balance of your pay2d virtual card through iDEAL or Sofort transaction or bank transfer. Pay in stores and restaurants with your card as well? Register first, then apply for a personal card through your online account. You will receive a card, registered in your name, within 48 hours.